Students are at the heart of our education system—and our system must meet them where they are. 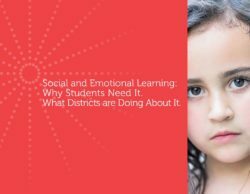 To do this, we must develop the skills and knowledge necessary for college and career, prioritize social and emotional development and reimagine the student learning experience. Education First combines our passion for helping all youth reach their potential with deep content expertise to support school systems, states, nonprofits and funders to develop high-quality, scalable solutions for all students. Today’s students must be able to access and master rigorous college- and career-ready academic standards. 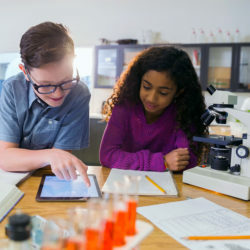 Education First is fluent in college- and career-ready standards and instructional materials; formative, interim and summative assessments; and systems that promote school-based, high-quality professional learning. We help devise, monitor and implement system-wide strategies to help schools organize their instructional strategy for success. Many educators need to fundamentally change their instructional practices to enable all young people to access the standards. School systems and state leaders need smarter strategies to guide how they manage or deliver support to schools across many dimensions, including instructional materials; professional learning; assessment, data and technology infrastructure; time for teacher learning, collaboration, planning and extra student instruction; educator recruitment, assignment, evaluation and related talent management strategies; and resource allocation. We combine our deep expertise in college and career readiness, teaching and learning and talent management to address these challenges together with system leaders. 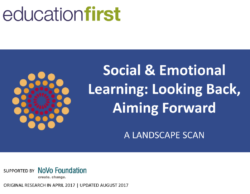 To be happy and successful in an ever-changing and complex world, today’s students must master rigorous, college- and career-ready academic standards and develop strong social and emotional learning (SEL) skills. 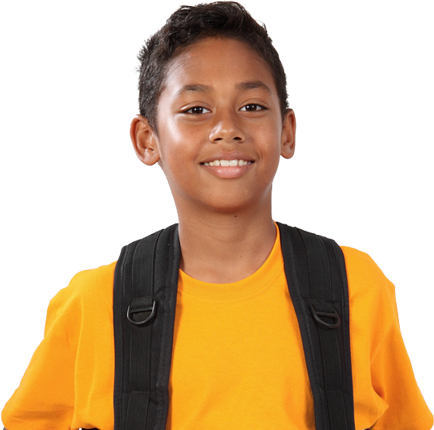 Education First supports teachers, districts, charter management organizations, state leaders, funders and advocates to put student success first by building the knowledge-base and systems that support the integration of social, emotional and academic development into all learning environments. 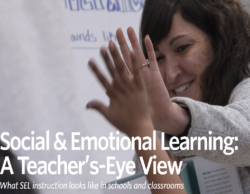 Teachers must incorporate SEL strategies into their classrooms and schools must redesign core instructional programs to support teachers in this new work. However, programs alone, even when well implemented, may not be enough. 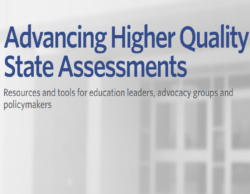 We support school systems and state leaders to design and implement smarter strategies to manage support to schools across many dimensions, including instructional resources; professional learning; assessment, data and technology infrastructure; and resource allocation. For decades, the U.S. has largely relied on a one-size-fits-all approach to schooling in which all kids—no matter their learning differences or needs—go to school at a fixed age, for a fixed number of hours and days, in a static learning environment targeted at the average student. 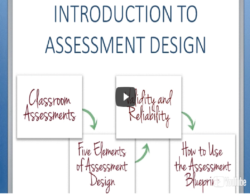 Yet advances in learning science and our experience tell us that kids need varied instructional methods and settings in which to engage and to be engaged, to acquire and access knowledge, and to apply it effectively and fruitfully. 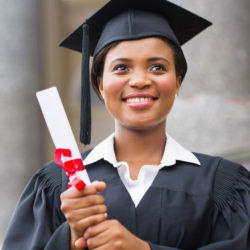 With deep expertise in system strategy, human capital development, research and policy and innovation, Education First designs, implements and influences the systems and enabling conditions (people, time, money, policies and programs) to support these innovative models and approaches so students and educators can thrive. We help practitioners – districts and CMOs – to develop, improve and scale models, tools and frameworks to support and drive innovation in schools and districts. 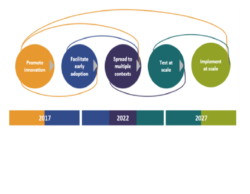 We support the ecosystem by helping non-profits organizations and national funders develop field-building knowledge and implement strategic supports to nurture and support innovation in the field. 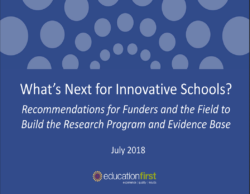 Education First facilitated a network of state grantees improving alignment between K-12 and higher education on the Common Core and new assessments.